ECOT founder Bill Lager speaks to the crowd of students, parents and teachers earlier this year. No matter how long the fight, the end always comes quickly. Ohio’s largest online charter school is closing abruptly halfway through the academic year, meaning families of the roughly 12,000 Ohio students from the Electronic Classroom of Tomorrow are scrambling to arrange other schooling options. 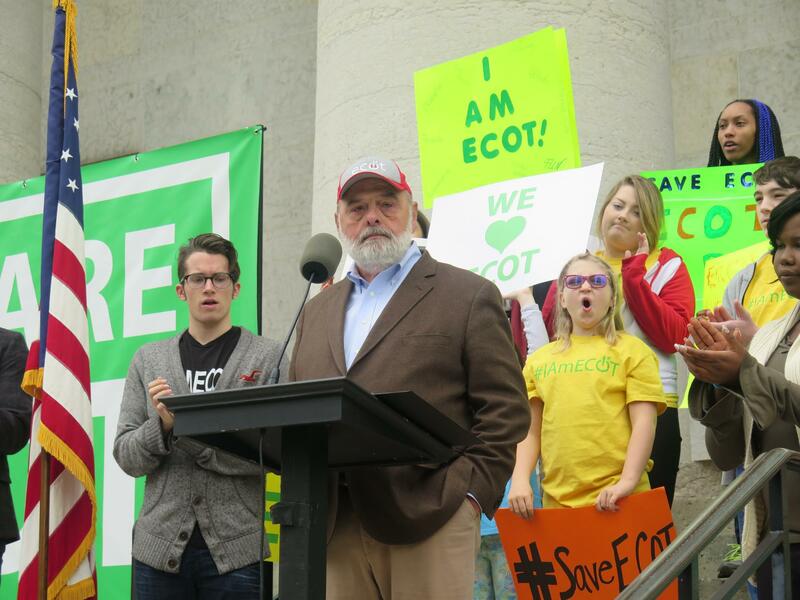 ECOT's closure shifted from a possibility to a reality when the required oversight entity known as its sponsor decided Thursday to suspend that arrangement. ECOT says the state rejected a proposal from the e-school that was aimed at keeping it open through the spring. Ohio's public school districts would have to accept any returning local ECOT students, but some families refuse to go back to those schools. Some are considering other virtual schools or homeschooling. A spokesman for Columbus City Schools, Ohio's largest school districts, says they're prepared to accept as many as 1,200 ECOT students. The publicly funded e-school has been running out of money amid a legal dispute with the state over $60 million in funding. 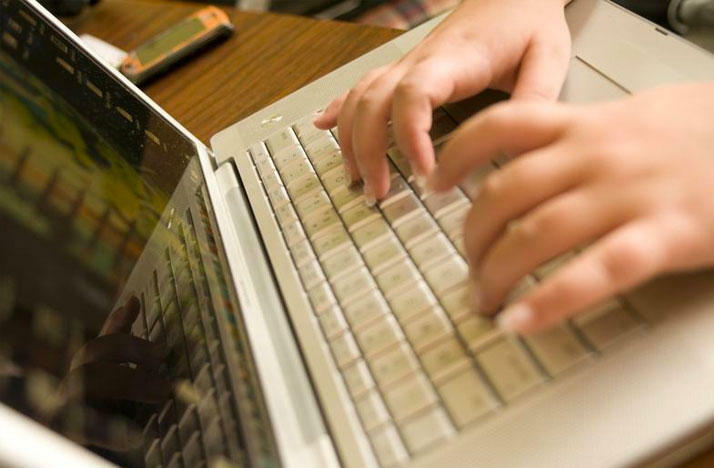 The state is clawing back the money after ECOT could not prove how much time students spent online. That’s how online charter school measure attendance, which translates into per-pupil funding. ECOT has claimed the school had a different agreement with the state, but has lost several court challenges. Their appeal is now before the Ohio Supreme Court. 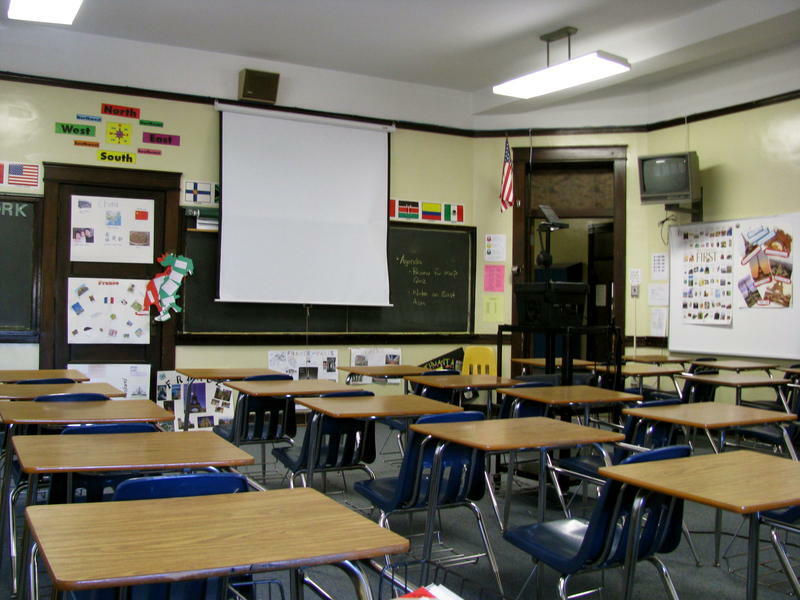 The Electronic Classroom of Tomorrow, or ECOT, has lost its sponsor and could be set to close as early as this week, impacting nearly 12,000 students across the state. Today, we discuss the uncertain future of Ohio's largest online charter school. With the announcement that its sponsor is pulling funding, the closure of the Electronic Classroom of Tomorrow could be imminent, and traditional schools around the state are preparing to take the state's largest online charter schools' students. The sponsor of Ohio’s largest online charter schools says it's cutting that tie, which could halt the school's Ohio operations for its roughly 12,000 students within days. A final end to the legal battle involving the state and its largest online charter school is coming closer.